Young Muslims in the UK woke up before dawn today to clean the streets of 50 towns and cities as a lot of the country were nursing a hangover. 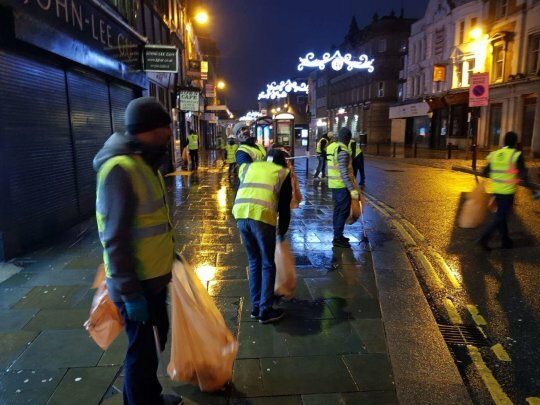 More than 1,000 Ahmadiyya Muslim Youth Association (AMYA) members held a special prayer then put on hi-vis jackets to go out and collect hundreds of bin bags of rubbish from last night’s celebrations. ‘From Luton to London, Glasgow to Guilford, Cardiff to Croydon, across the entire country 1,000 members of AMYA participated in the New Year’s Day clean up. 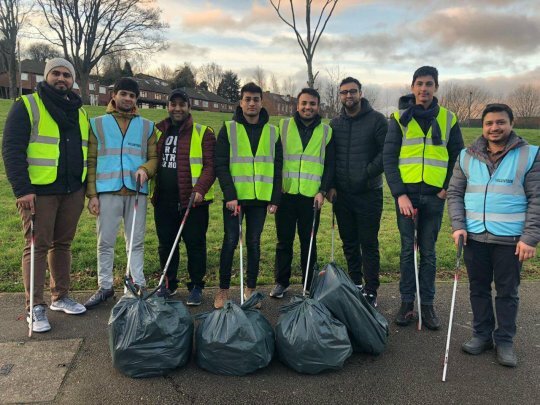 In 2018 AMYA, the UK’s largest and oldest Muslim youth group, held more than 300 community clean ups and planted 20,000 trees across the country.